5.0 out of 5 starsI love it!!!! LOVE LOVE LOVE IT!!!!! It is HUGE!!!! Bigger than I thought, especially how the picture make it look!! 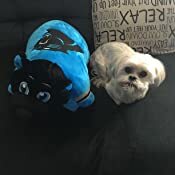 As you can see, it's bigger than my 10lb Shih tzu!!! 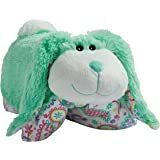 It is SUPER soft, and well made!!!!! 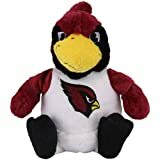 5.0 out of 5 starsGreat Plush to Support Your Favorite Team! We live in Wisconsin and are major Green Bay Packers fans. 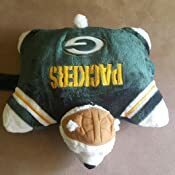 While we have plenty of Packers memorabilia, I thought it would be nice to have a plush that shows our team spirit since we have young children and it's something they could have fun with too. 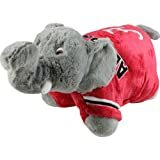 I found this Pillow Pet on here and the price was just right so we ordered it, along with NCAA Wisconsin Badgers Pillow Pet. 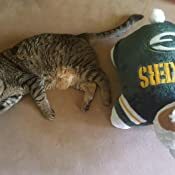 This Green Bay Packers Pillow Pet measures (when flattened as a pillow) about 17 inches by 6 1/2 inches by 19 inches (the height is including the tail and head). It's made in China of 100% polyester (shell) and 100% polyester fiber and foam (filling). 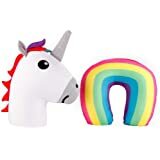 It's surface washable and includes attached velcro pieces that allow you to cinch it up so it will stand on its feet. The Packers one has "Packers" and a big "G" on its back and the animal is a polar bear with an old-school football helmet on its head. 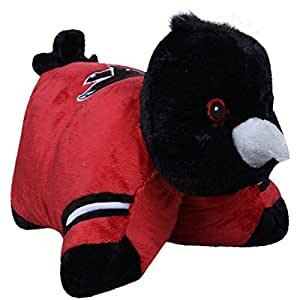 Our family loves these Pillow Pets and they are fun to have in our living room on game day while we are watching the game! It's so cute, well-made and in great shape after three-and-a-half months of use and our kids playing with them. The one we got is a pretty good size too and I've included a picture of it with our 11-pound cat next to it. 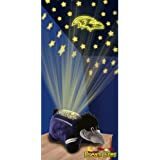 If you, or someone you know, are a Packers fan (or fan of any NFL team), I recommend purchasing these Pillow Pets as a gift for a child or an adult who could use it. The tag says it's safe for ages three and older so your whole family can enjoy it! 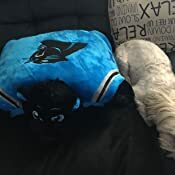 I bought this Carolina Panther Pillow Pet on a whim because I like the Panthers and live in NC. The pillow pet was super cute in the pic. It looked great when I got it, quality is good but the face kinda looks more like a bear than a panther. However, I still like it anyway and keep it in my office. I get a lot of comments on it and everyone thinks it looks cute. I would definitely buy it again. 5.0 out of 5 starsA very well done product. It's a novelty item to be sure, and frankly if this is a gift it's going to be a somewhat frivolous one...at least if gifted to someone over the age of, well, ten or so. 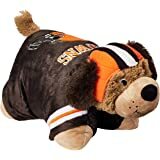 But it's a very well made pillow pet, and this year where we Broncos fans need as much comfort as we can get, well, it can be a comforting one as well. I like that the colors and logos match the real licensed items. By that I mean that sometimes you see Broncos items that have the wrong shades of blue or orange, or that the logo proportions are just off enough where it is noticeable. Well, either my eyes are going or this is matched VERY well. And, well, the binding strap holds the pet securely closed, but is easy enough to open and have the pillow lay flat. 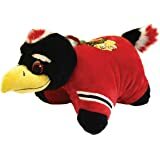 In either configuration the pillow pet looks great. It's a good conversation piece and a fun signifier for the Broncos fan. I think it's really well made and attention did go into design, materials, and construction. A very well done product. 2.0 out of 5 starsNot as advertised. 2.5 stars. 4.0 out of 5 starsNot quite as advertised. Product is not exactly as pictured. 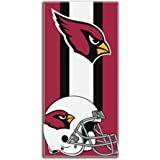 I bought 2 of the Vikings pillow pets. 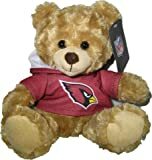 The bears I received are dark brown, have no braids, and the horns are shorter and not as defined. I'm attaching pictures. They're still cute and very soft and just the right size, but I was a little disappointed. 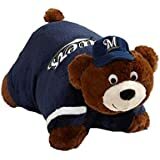 We've had other pillow pets that were well made and durable, (and big hits with the kids). 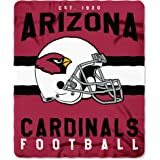 We were happy to see they now have NFL licensed versions. 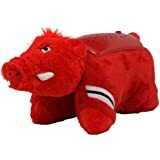 Got this one and it seems to be up to the pillow pet quality standard we expected. (I mean they aren't cheap and they get a certain amount of heavy use.) So this was a fine purchase. Nice and fluffy. I bought this as a christmas present for my bf and he loved it. 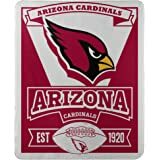 The Northwest Company Officially Licensed NFL Singular Fleece Throw Blanket, 50" x 60"